The Braised Lamb Shank was filling! 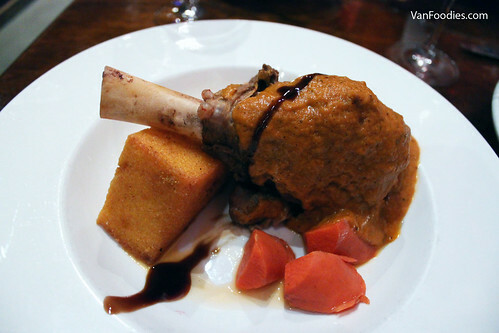 The lamb shank was braised beautifully, meat fell right off the bone. The fried polenta wedge was crispy outside and creamy inside. It’s overall a rich dish, but the addition of house-pickled carrots helped cut through the richness. It was just kind of weird that the carrots were cold, an unexpected temperature contrast on the plate. 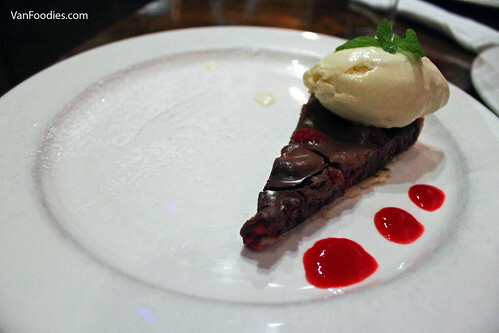 While the Dark Chocolate and Raspberry Tort was good, it didn’t have the decadence and richness that you would expect in a chocolate dessert, especially dark chocolate. The use of tart raspberries was a good choice against the chocolate. The tort shell was a bit too doughy for my liking. 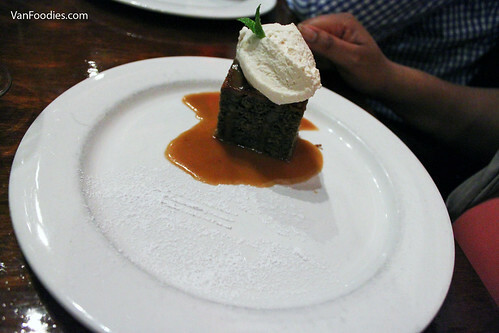 The Coffee Cake reminded me of sticky toffee pudding. It had the texture of a bread pudding, with a warm toffee sauce. It would probably go well with the house made ice cream that came with the chocolate tort. 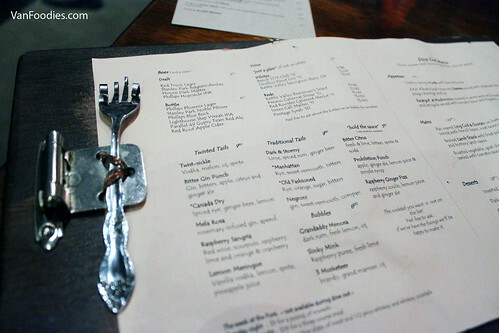 As mentioned earlier, Twisted Fork doesn’t take reservations, and it’s no difference during Dine Out period. I got in no problem because I arrived right at 5:30pm; but as I left at around 7pm, there were easily a dozen of people waiting for a table at the door. The staff needed to keep turning the tables around, without rushing the guests, in order to keep up with the demand. 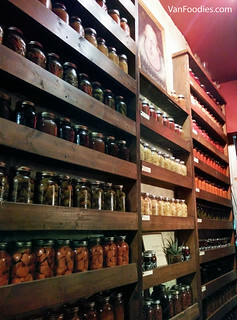 My colleague told me that they make their jams and preserves in-house, as well as pickled vegetables. The jams and preserves are used for brunch, and I heard they’re really good. You can see the jars nicely displayed on the shelves at the restaurant. I think some are available for sale too. 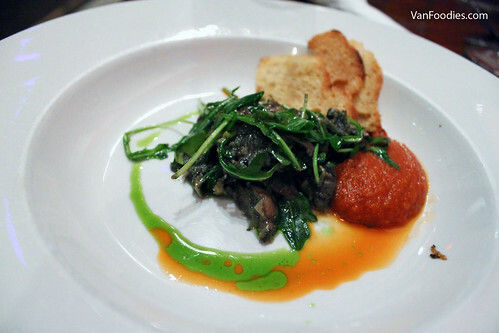 I still don’t understand why there was no pictures being shared on the internet about Twisted Fork’s Dine Out dinners. The restaurant was packed and most people, if not all, were having the Dine Out menu; and the food was good. It was a satisfying meal, French comfort food. Now I want to go back for its brunch service.